The Molex 4-pin power supply connector is one of the standard peripheral power connectors in computers today. 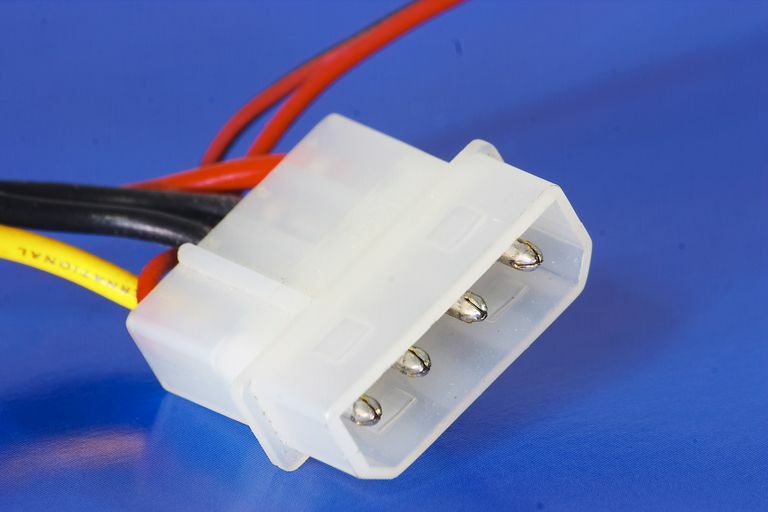 The power connector itself is a Molex 8981 connector called the AMP MATE-N-LOK. This power connector is the standard connector for all PATA based hard drives, many high-end video cards, and some older optical drives and other internal devices. Below is the pinout for the standard Molex 4-pin peripheral power connector as of Version 2.2 of the ATX Specification (PDF).